Spend some time looking at photos of amazingly clever and cute bento boxed lunches, and you’ll probably start feeling inspired to make some aesthetic edibles of your own. Unfortunately, that’s often easier said than done. The tricky thing about making cute bento, especially character bento, is figuring out what type of food corresponds to the shape and shade your artistic vision requires. It’d be so much easier if colors themselves were foods, right? And that brings us to Ikuji Kamaboko, which has been in business in Toyama Prefecture since 1927 and is the maker of Toto Sheets. Like the company’s name implies, Ikuji Kamaboko specializes in kamaboko, Japanese fish sausage. 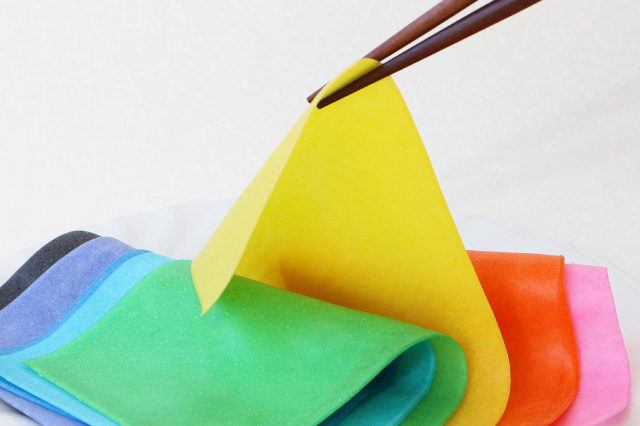 But while ordinary kamaboko is sold in cylindrical shapes, the Toto Sheets are instead formed into thin slices roughly 17 centimeters in length by nine centimeters in width, and colored in eight dazzling hues. The sheets are about 0.8 millimeters thick, which means that you can use cookie cutters to punch out whatever shape you need to get your bento looking just like you want it. 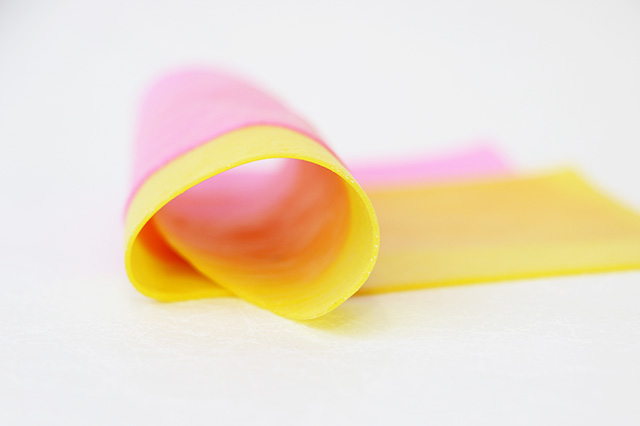 Slicing with a knife is of course also an option, and the pliable nature of the kamaboko means that it won’t crack as you bend, roll, or even braid it. 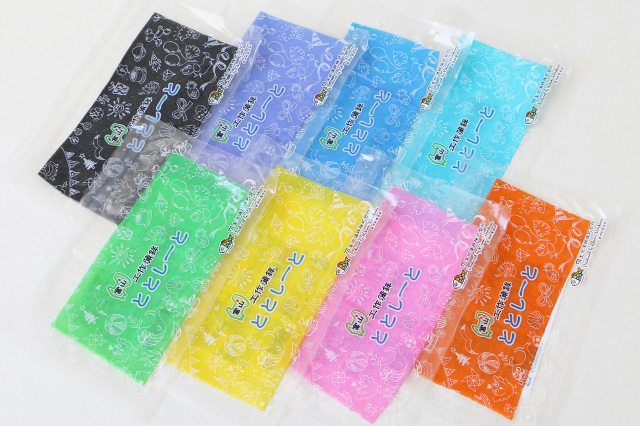 Individual sheets can be purchased through Ikuji Kamaboko’s online store here for 111 yen each, or you can splurge on an eight-pack with one of each color for a discounted price of 741 yen. -- Soft and tasty cat paws win our hearts — no, they’re not marshmallows, they’re fishcakes! Yey...nothing like putting some more chemicals and artificial colors into kids bento boxes...no thanks. Even as a kid, these bright colours in cute designs (even if not artificial) never tempted me whatsoever. This is really cool but the colors are sooooo artificial looking! I would think there are ways to use natural colorings, but then I guess that’ll impact shelf life. So blessed to have grown up with simple and outrageously nutritious as well as delicious home cooking from the garden and livestock. Many things which look stunning (or worse, cute) fail that simple taste barometer.